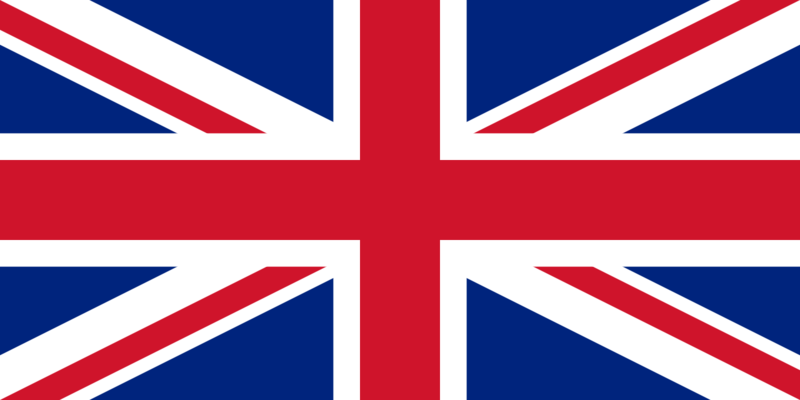 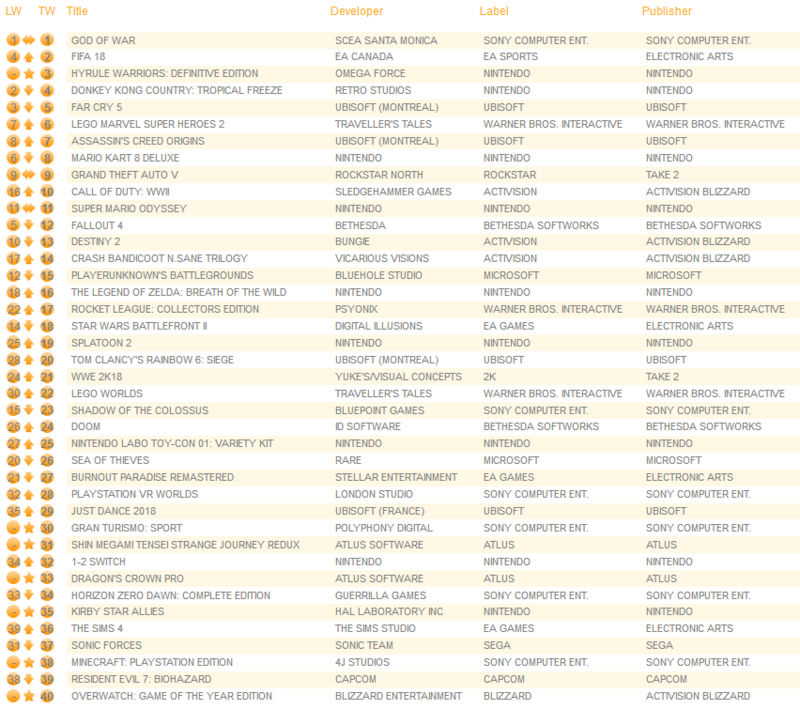 New sales data is in from the UK for the month of May 2018. 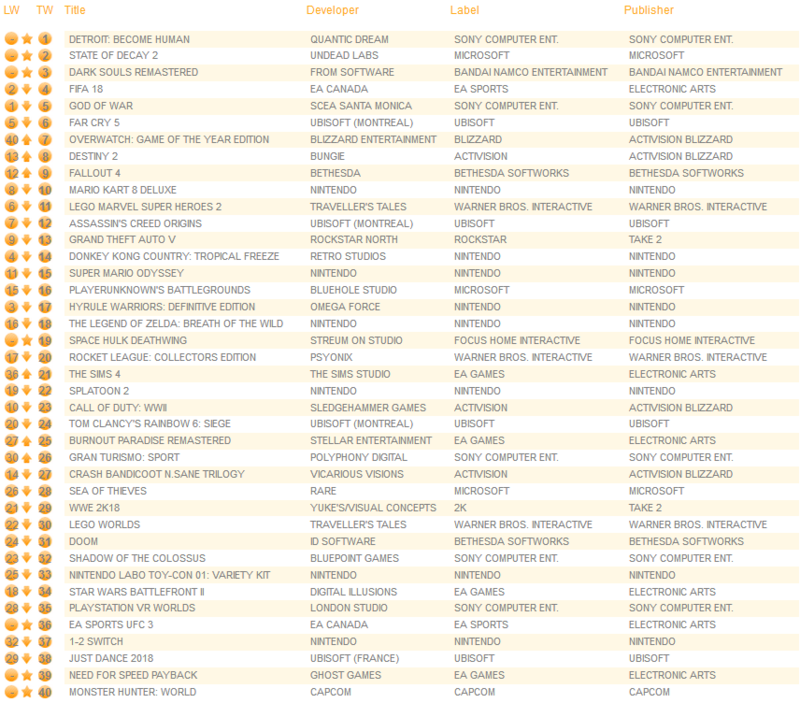 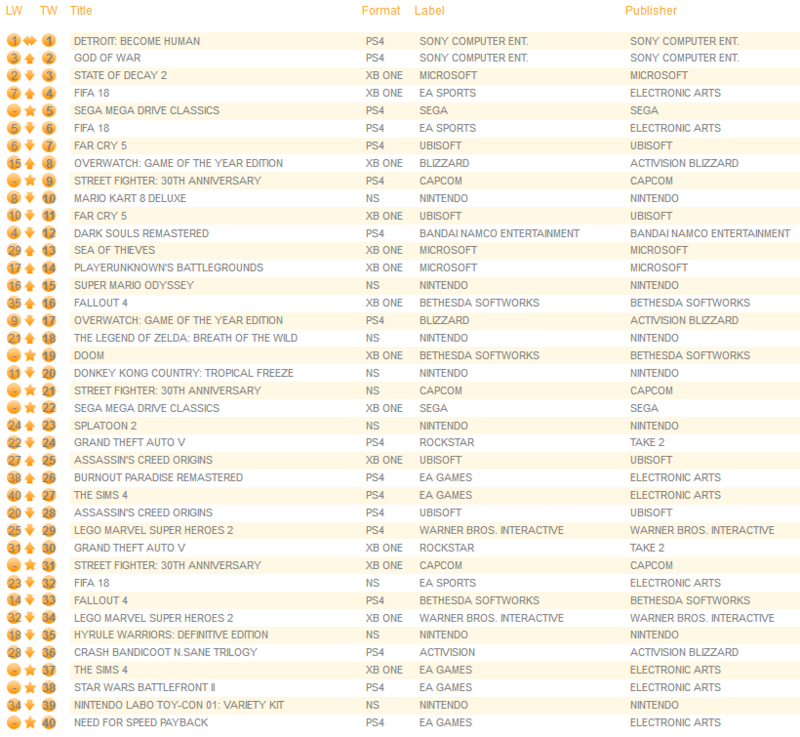 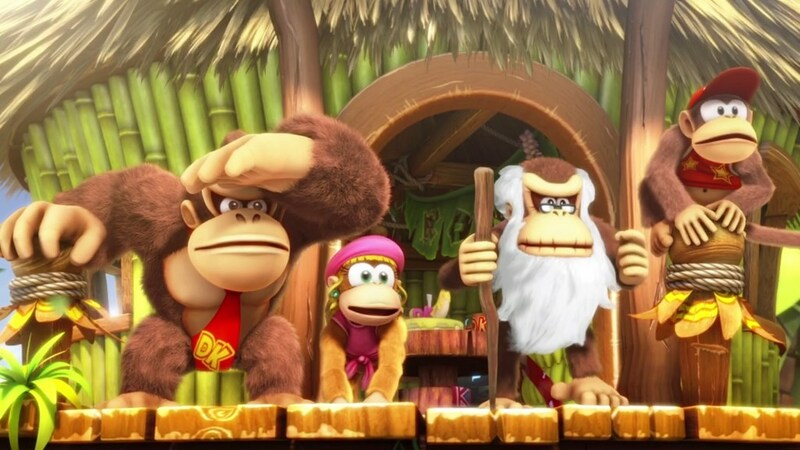 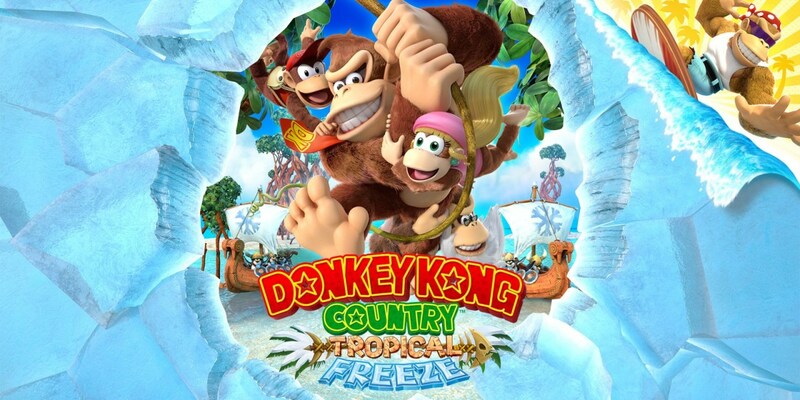 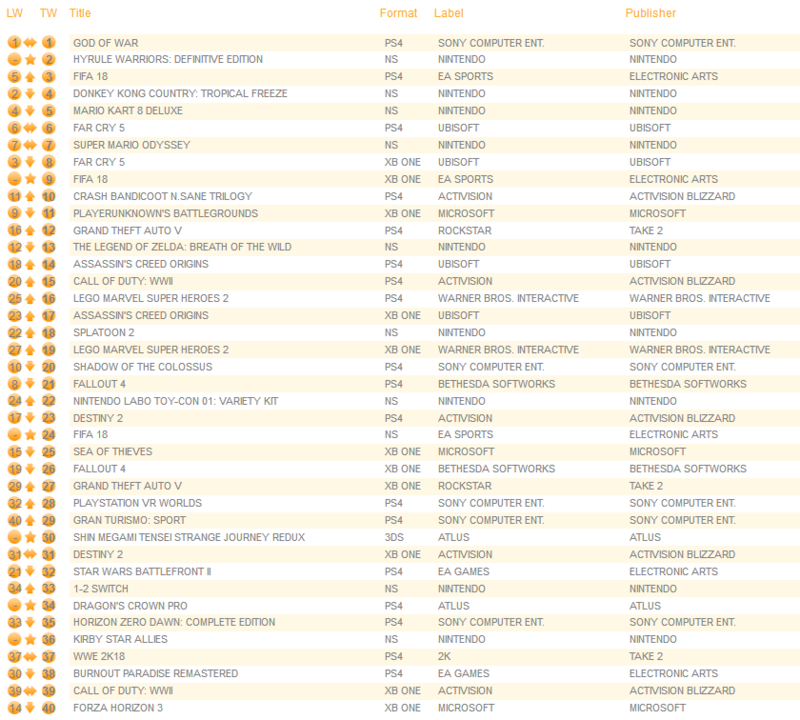 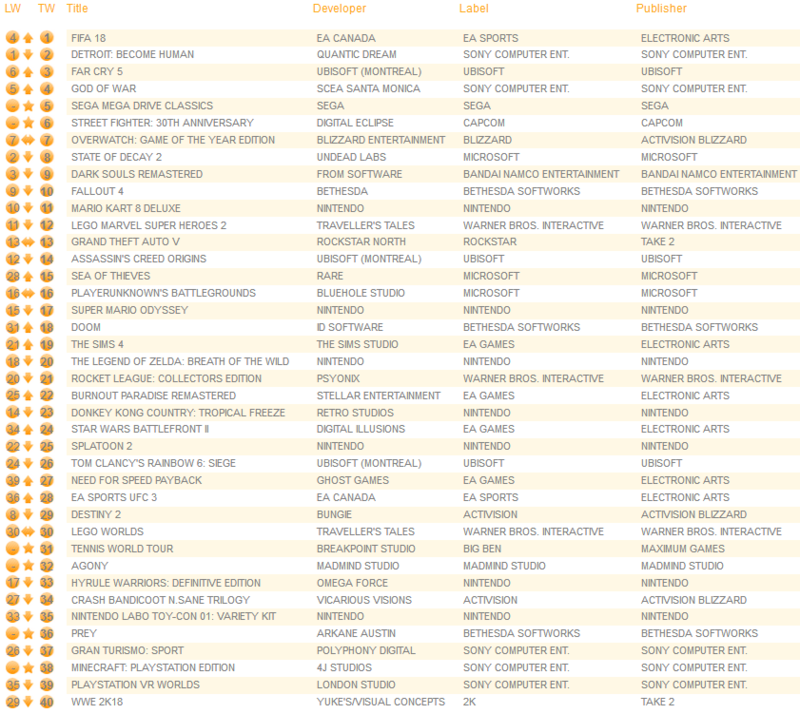 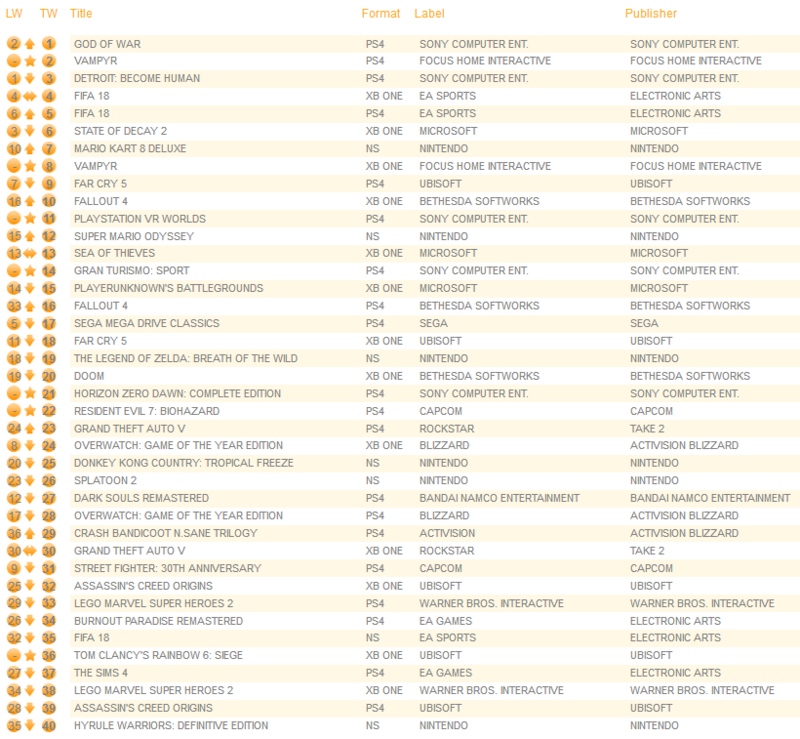 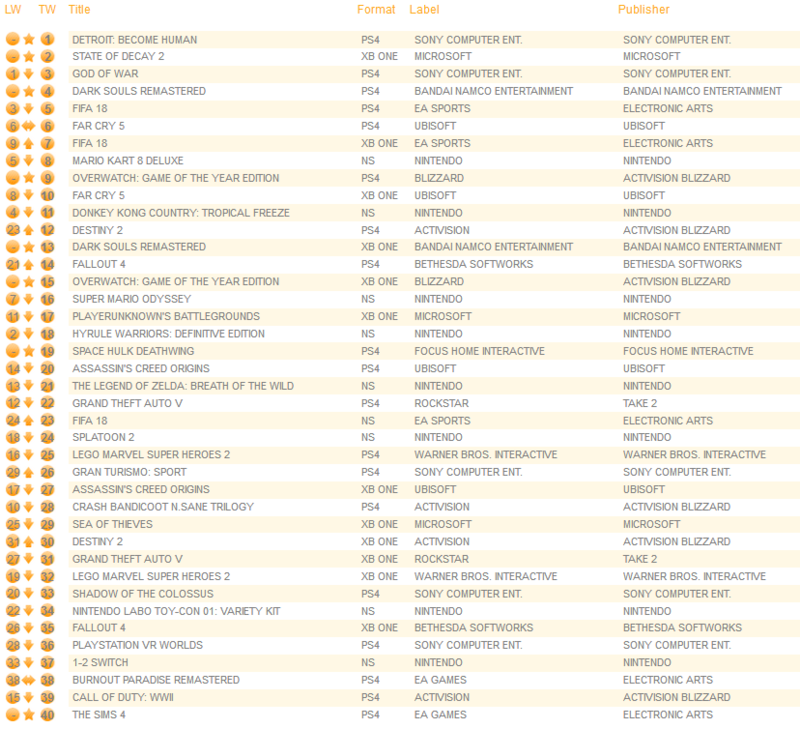 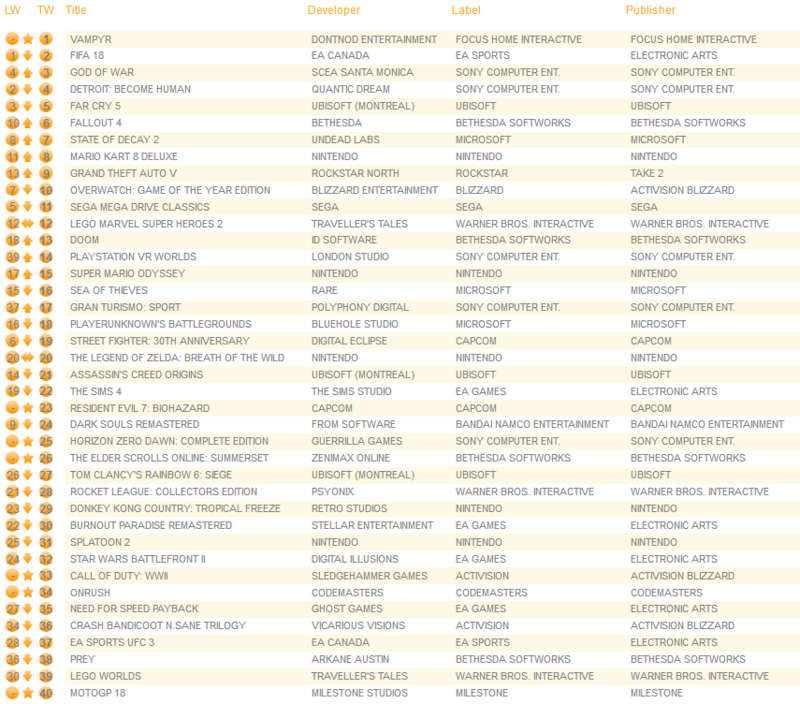 With the new Switch version Donkey Kong Country: Tropical Freeze reappears on the chart at the fourth position. 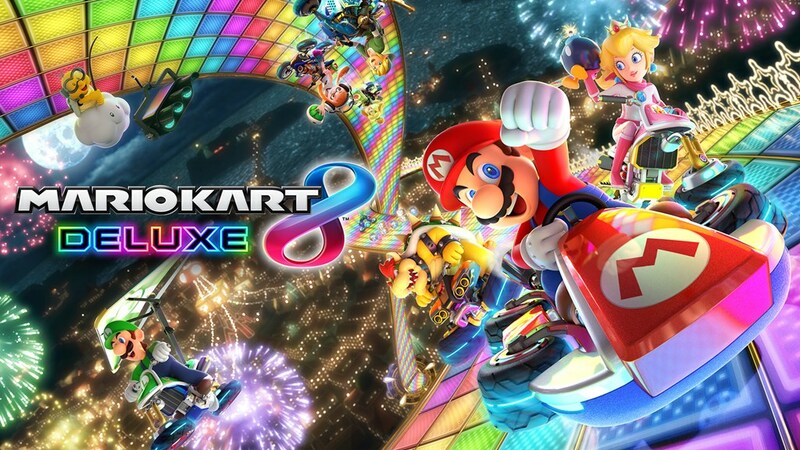 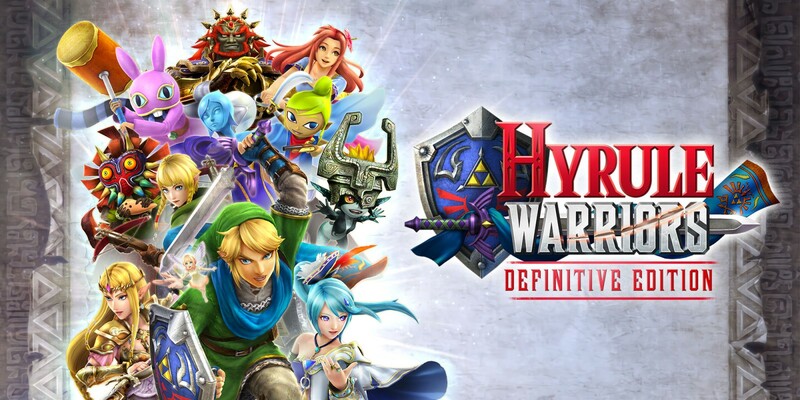 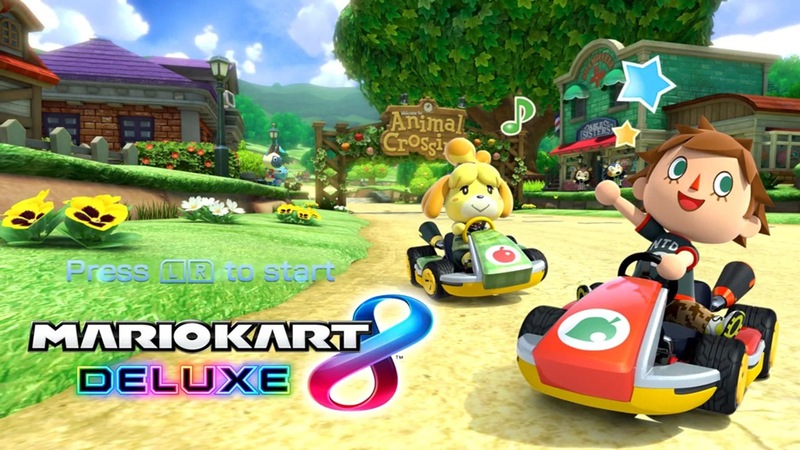 Its first month of sales were up 19% compared to launch sales of the original Wii U game.